As we use to have a boot video in MAC OS X’s older version’s which use to Welcome the user’s who use to install the MAC OS X. 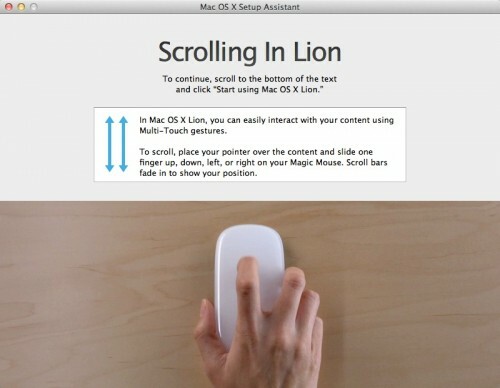 The news is flying that in the MAC OS X Lion there is no Welsome screen though we are going to have a new setup named as “Mac OS X Lion Setup Assistant” in which the new gestures will be tutored and the new scrolling system for the Magic Mouse, as was revealed on WWDC 2011. No Welcome video was seen in the MAC OS X Lion GM (Gold Master) too. Nothing can be said for Apple, as they can kick a Welcome video at the last moment.